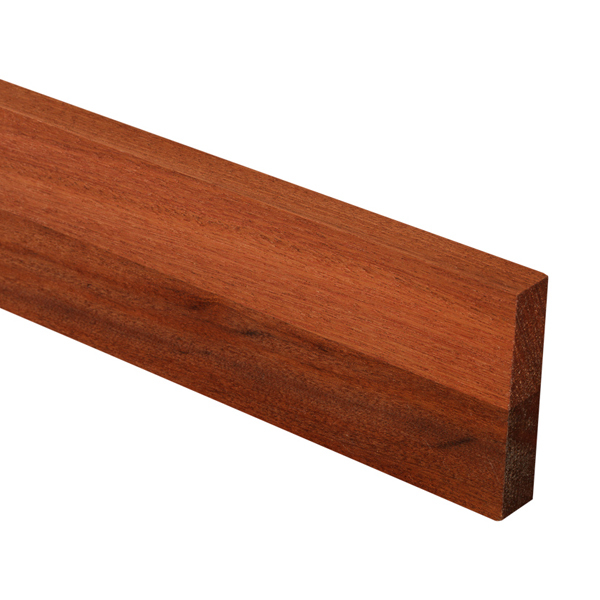 Sapele upstands are manufactured from the same high-quality hardwood that is used to construct our sapele worktops, and provide a stylish alternative to tiling down to the surface of your worktops. Our sapele worktop upstands are perfect for blending matching worktops into a kitchen, whilst also hiding the required small 5mm expansion gap between the worktop and wall, which is necessary to accommodate the natural expansion and contraction of the timber with changes in climate. We recommend choosing sapele kitchen upstands when installing wooden worktops against uneven walls, as they will cover any small gaps between the adjacent wall and worktop that would otherwise be noticeable. Sapele kitchen worktop upstands are supplied with a square-edged finish, which creates a chunky look and makes fitting exceptionally easy. If you are striving for a different aesthetic, however, our upstands can be finished with a variety of edge profiles so as to suit your kitchen design. Find out more about the importance of quality upstands by reading our dedicated information guide.